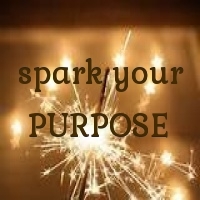 Together let’s spark your PURPOSE! We remember the other plane, who we were and why we wanted to come here, especially at an early age. Yet adults who have forgotten told us that what we knew and felt was imaginary. Do you remember feeling proud of all of the adults around you? Yes, you’re doing it! You knew that growing up meant that you would learn and create more — yet as you aged, growing up meant being free of others demands. As people forgot, they tried to contain others light. Remembering becomes painful, and most feel that they are too lost to ever find their light again. Which isn’t true. Your life purpose always lies in what you do constantly without realizing. For example, I always gave readings to people from the time I was very young (15) and people always gifted me spiritual books, tarot decks etc. In Barnes and Noble, people would come up to me and ask me about spiritual ailments and they would ask me for my help (in the beginning I was very surprised, yet I knew that I could help them). Everything you experience is a part of your path towards your purpose. There is a way that you feel when you do something your soul wants to do — it pulls you, to an action that your mind revolts against, it makes your heart hum with a certain sound and from that sound you feel the energy being given, and a weight lifts in your chest when the energy you are meant to give is complete. It feels like two-beating hearts, it feels like your heart orgasms, it feels natural to you. Assess what your compass in life constantly points to. For each of us, it is different as our hearts and energy and various expressions. Some of us will want to make the most comfortable, beautiful chairs. Some of us will want to grow the best fruit and vegetables. Some of us will want to hike in mountainous terrain and write about it. Some of us want to live a life of solitude and one day we might stumble across someone who helps us see our life purpose. Our endeavors are the steps, and indicators of how we are to contribute to universal growth. Each is pertinent, even though we are trained to only value who lives in the biggest box, with the fastest car, with the heaviest wallet. We are trained to value these things. Upon further introspection and realization — most of us would not value these things as much as we now do. Look for the re-occuring gifts you receive. Strangers who tell you truths about you– you will know because it resonates — “maybe this is where you should head to” and listen. Where do you hide? This is important, as it shows you where you seek solace. Where we find solace is a place where our spirit can recharge. This place will lead us to where our spirit craves to grow and experience. Remember who you wanted to be when you were young, and think of the feeling of being that person — it’s not so much the actual person i.e. lawyer, or police-officer but the emotions and growth it entails. Trust what makes your heart sing. When you begin to see your purpose — it will seem so ridiculously simple! It will have been under your nose the whole time! Like when you are looking, and looking for an object only to realize that object is in your other hand.